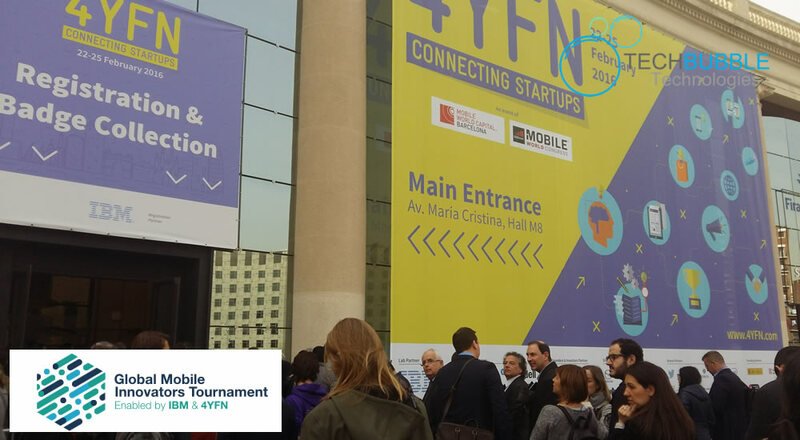 Although TechBubble Technologies did not get through to the finals of the Global Mobile Innovators Tournament, IBM very kindly provided me with an Exhibitors Pass for the final which was held at 4YFN, part of the Mobile World Congress event last month in Barcelona. 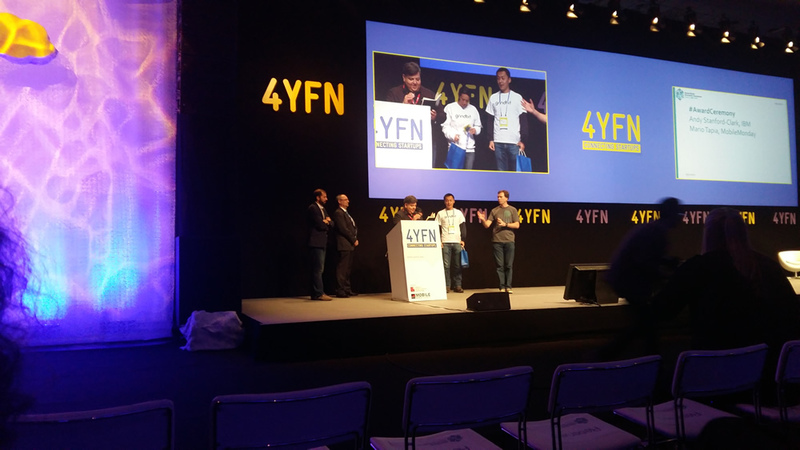 Out of the 1200 or so projects that were entered into the tournament, 5 teams from each category: Smart Homes, Smart Transport and Smart Healthcare; were to present their final projects at 4YFN. The 3 finals were spread out over the 3 days of the 4YFN event, in between finals there was a chance to spend time walking around the event and checking out all the new technology that was on show at the various demo booths. The finalists each had their own booths in the IBM exhibition space where they could show off their projects to visitors and potential investors. It was great to meet up with the teams that I met in the Semi Finals in Amsterdam: BioLinq, NextToMe and Harmony in IoT & eHealth. 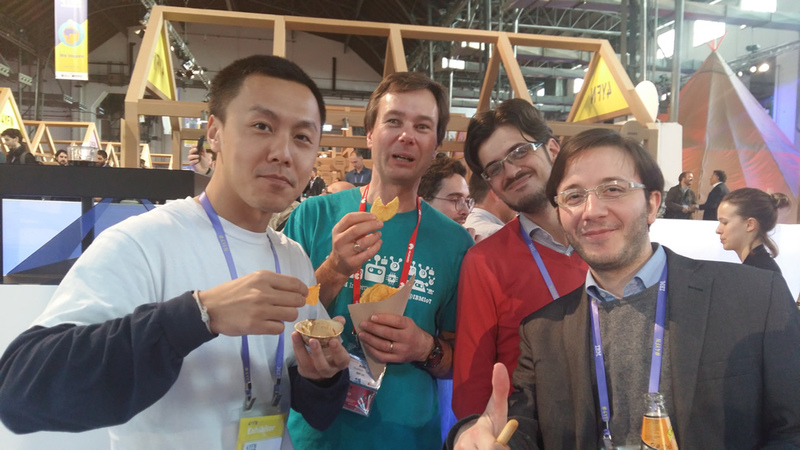 It was also very nice to meet the other finalists from around the globe: Beacon of Hope, Kaawo, InnerSpace, Hoome Studio, Brainstat Studio, Gruppo Innovare, Think IT Loud, Trident, Grindbit, CeliWat, Teleker & Cloud Therapy. All of the projects that made it to the finals were very inspiring and it was great to be able to chat with the teams and find out more about their projects and goals. During the finals one winner from each category was announced. The finals were hosted by someone that I was very excited to get to meet, Andy Stanford-Clark. 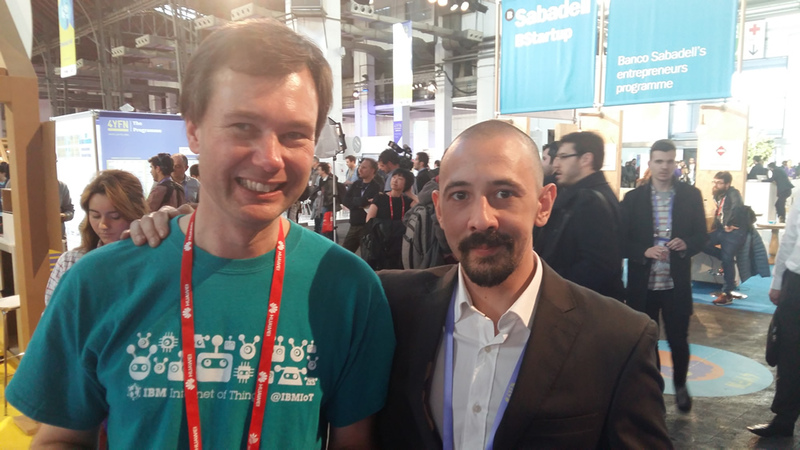 Although he was very modest about his involvement in the world of IoT, Andy was the developer that created the MQTT protocol 17 years ago. 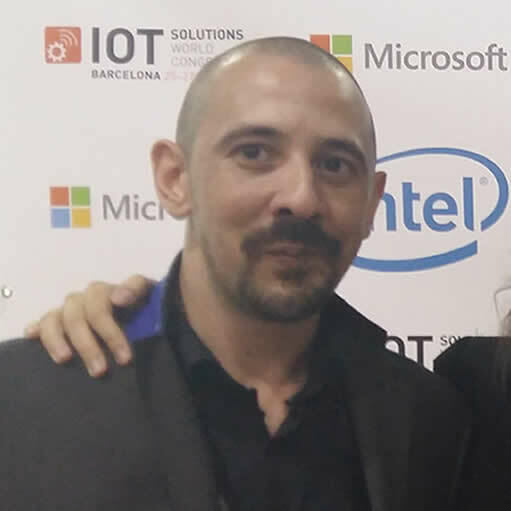 The protocol is used massively in the world of IoT and is the main communication protocol used in IoT platforms such as IBM IoT Foundation and Azure IoT Hub, not to mention used by millions of developers around the world on a daily basis in custom IoT applications and platforms including the TechBubble GUI. All of the teams gave amazing presentations during the finals, some of the teams had traveled half way across the world to present their projects and we also had one team presenting via a Skype conference call which went very smoothly. There were 3 different judges on each day who all made the final decision on the winners of each category once the presentation were complete. Smart Healthcare was the first category to present their projects, the winner of this category was Peter Ma and his GridBit app, a device and application that allows people who suffer from a teeth grinding disease called Bruxism to monitor when it happens during their sleep with the hope of helping to find a cure for the disease. Next up on the second day was the Smart Homes category, the winner of this category was InnerSpace, a robotic device that maps out buildings etc and provides data of footfall in certain areas. 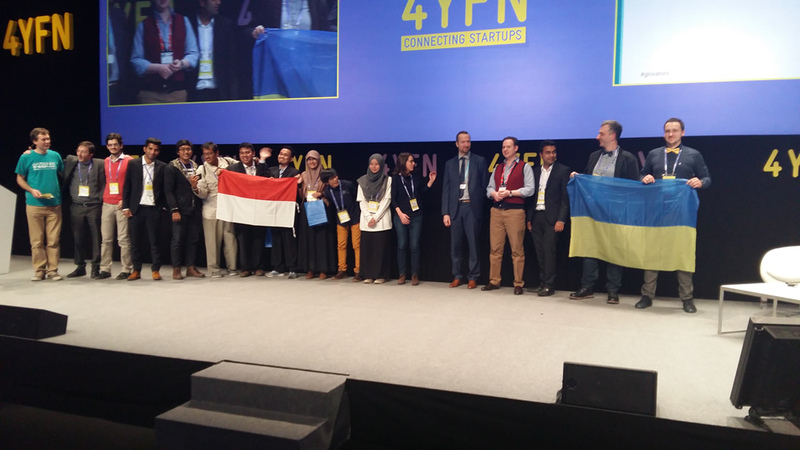 The final category to present their projects was the Smart Transport category, the winner of this category was BrainStat whose project was a device that monitors your brain to help improve driving. At the end of each day we had a private party at the IBM exhibition which was a great opportunity for everyone to socialize after the event. I was able to catch up with some of the staff and teams that I met in Amsterdam and also meet some of the other teams and others involved in the tournament on more relaxed level. At the end of the 4YFN event IBM put on an amazing party at that Sala Apollo nightclub in Barcelona, this party really was a party! In fact it was so good that I missed the final day at the Mobile World Congress due to the recovery stage. 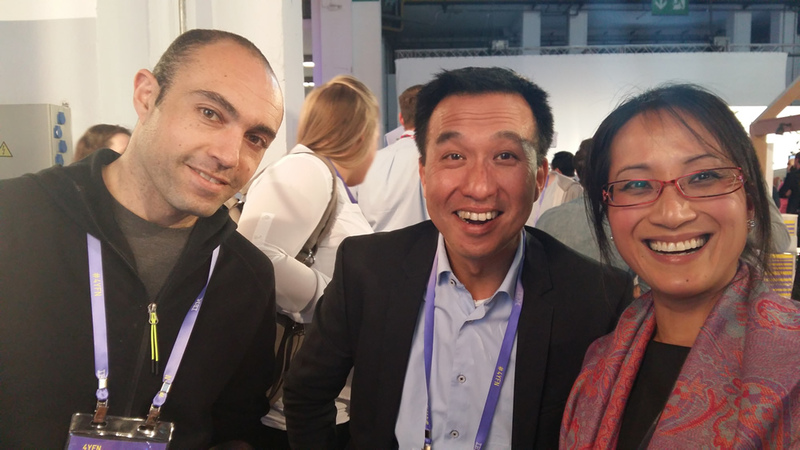 It was a great opportunity to relax and party with IBM staff, organizers and teams. During the event I was able to chat with people about the projects that myself and new partner in tech, Adam Mosely, will be getting involved with this year. The project includes brain controlled IoT devices, robotics and prosthetics, and I am very happy to say that the feedback from both IBM staff and teams was amazing. I would particularly like to thank IBM's Anh Tran, Tristan Reckhaus, Karine Faucher, Andy Stanford-Clark, Jerome Joubert and Ethan Hermon amongst others for spending a great deal of time discussing the projects with projects. I am very excited about the opportunities that have opened up for us, keep your eyes open for future info on what is to come with the projects. Again a massive thank you to Trudi Hermon & Marije Ferwerda and everyone that was involved in the organization of the event, with all the excitement I didn't manage to remember everyones names but everyone I spoke to at the event made it a really cool experience. I absolutely loved the experience, the staff, the teams, the technology it really was one of the best few weeks of my life. Thank you to everyone that put so much hard work in and hope to get the chance again to catch up with the amazing people I met throughout the tournament and hope to get involved with future events.